Lots of photos today — I did a lot of little things today and made a lot of progress on the neck. 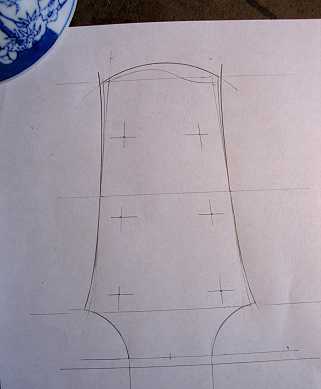 That blue and white ricebowl you see in the upper left-hand corner is what I traced to draw the rounded top. 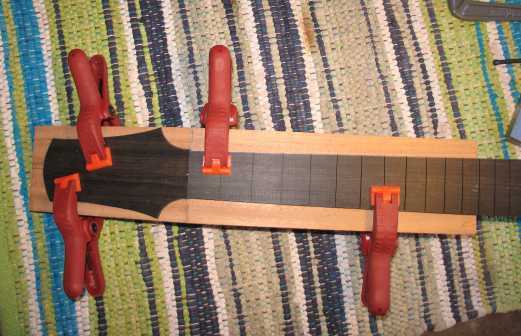 Here's a photo of the carbon fiber rod that has been glued in with epoxy and scraped down. 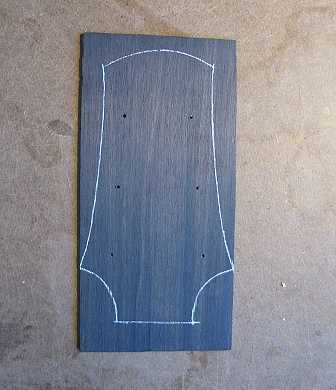 Here's the shape traced onto a piece of ebony overlay. 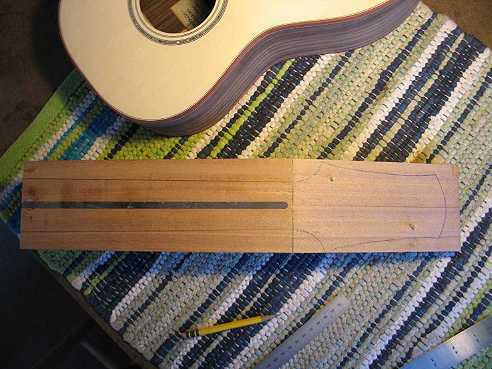 I have punched the holes for the tuners. Here I have placed the peghead overlay in its final position and drilled two holes for some tiny dowels. This will hold the peghead in place when I later glue it on. The next thing I did was to drill the holes for the threaded inserts. I use threaded inserts that require a 5/16" hole. 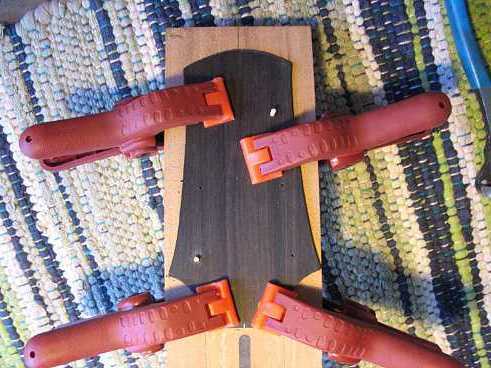 One reason I drill the holes for the inserts now, before I cut out the neck blank, is that I can easily use this dowel jig to drill the holes. 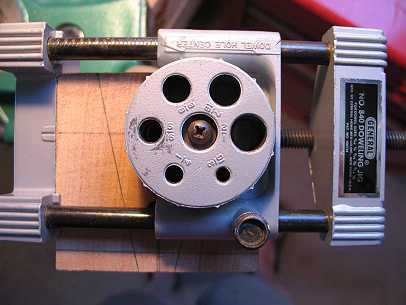 I just line up the indicator line on the left and the left edge of the middle part of the jig with the two lines intersecting the hole I need to drill. The jig keeps the drill bit perpendicular.